The Camino has brought me many memorable experiences and new special friendships. I am always excited to hear from people whom I met on the Camino and to hear how the experience has touched and transformed their lives and how like a ripple effect their transformations spread out touching others. 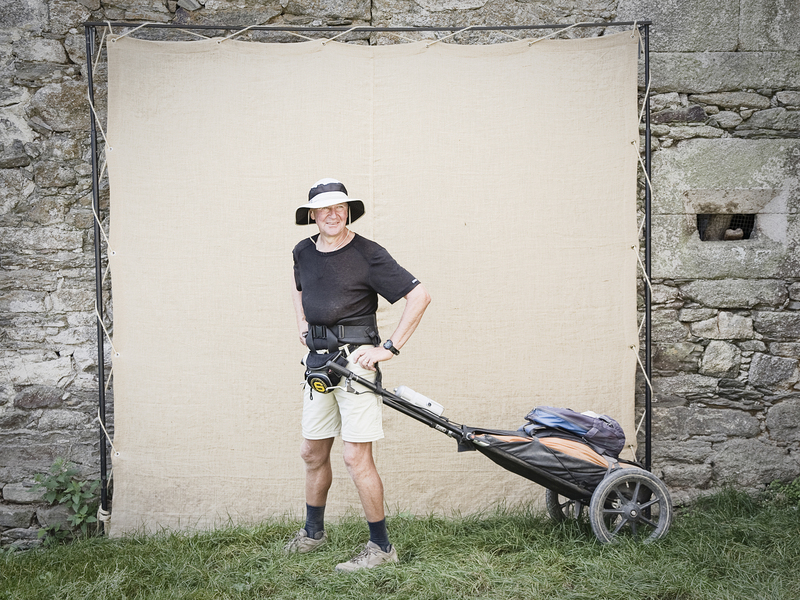 Was a very special day on the Camino my first experience with new friend and photographer German Limeres who had started just the month before his creative photography project documenting the pilgrims along the French Way in his families historic hometown of Vilei just next to Barbadelo 3 KM from his hometown growing up of Sarria. Rexistro 108 Vilei captures the faces and documents the pilgrims from around the world who are venturing Along THE WAY to Santiago de Compostela. It is a day that transformed my experience of the camino and life that has led me to living in Spain and sharing in more of the God Guided Synchronicities that began for me many years ago. It was wonderful to meet Henk Heemskerk who was making his journey much farther than most pilgrims an amazing 3,000 km from his home town in the Holland to Santiago. 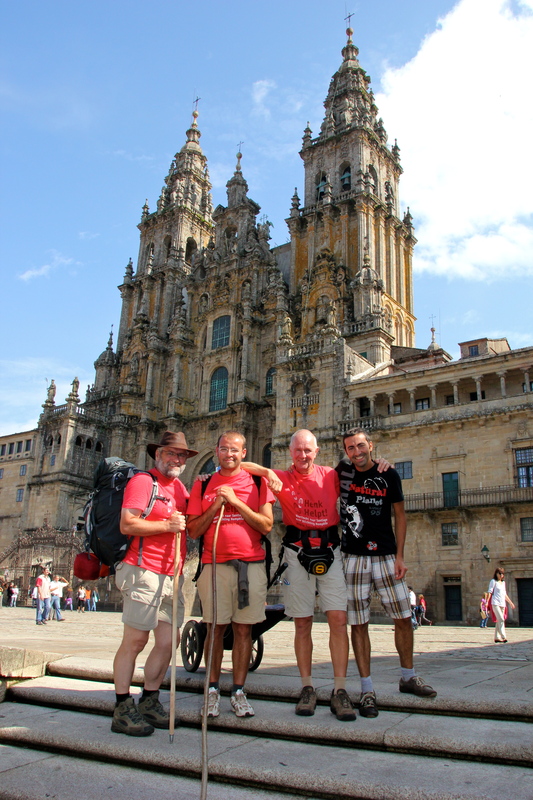 German and I were fortunate to meet Henk and his companions Luca Fiori , from Italy, and Arno Hoitink from Holland who joined Henk later during his adventures, they later met up with Felice, from Milano Italy and arrived into Santiago de Compostela together to celebrate the completion of this Camino Journey. You can see from the smiles on their faces it was an incredible adventure! 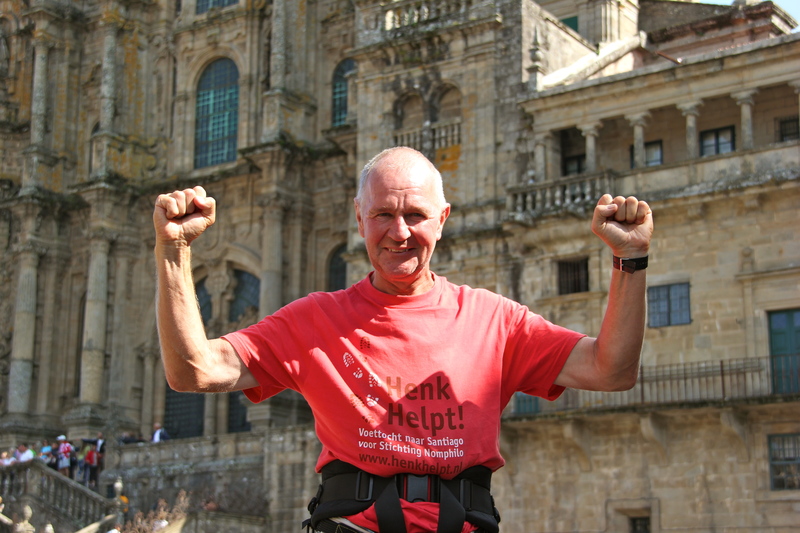 It is very special for me to share Henk’s story in his own words expressing his feelings of his camino experience and how he is sharing is wonderful gifts and talents making a difference in the world. Thank you Henk!!! I am Henk Heemskerk 59 years old . My work is carpenter for 43 years. The work is heavy and I decided to stop my work and start a walking school. That was the reason to walk from home (Broek op Langedijk Holland) trough Santiago. A walking trip from 3000 km. After thinking I decided to walk for children in South –Africa with the HIV virus. The foundation Nomphilo is working with these children. 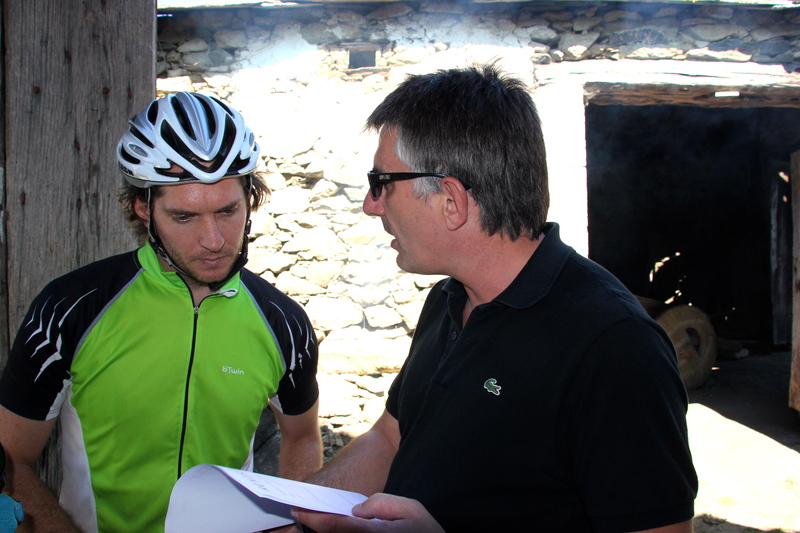 So that was the start trough Santiago. I walked the route Belgium, France and Spain in 81 days. friends. The hospitality from the Spanish refuges was very warm. smiling. They never seen this before and a lot of them want to buy my lorry. from Sardegna and they are friends for life. etc. is become a big part of my life. I Hope that you will go to Henk’s links and learn more of his wonderful projects that are helping so many people. Thank you for sharing your inspiring story – looking forward to staying in touch and keeping the Camino Connections Alive!!! This entry was posted in Acts Of Giving & Sharing, Camino Stories & Syncronicities and tagged nature, outdoors, spirituality. Bookmark the permalink. ← The Camino Calls Again!! !